Slave passes were an early form of racialized surveillance, small pieces of paper with the power to decide where black men and women could travel, who they could meet, and whether they might be subject to violence. 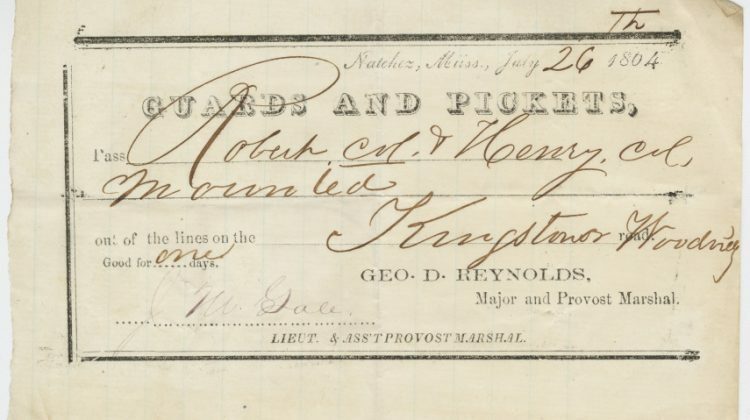 Digitized by Galia Sims, The documents in “Guards and Pickets: Paperwork of Slavery” provide a glimpse into the paperwork created to control the movement and relationships of the enslaved, like passes, jail fees, marriage certificates, patrol invoices. More on Sims’ project and The Public Archive here.